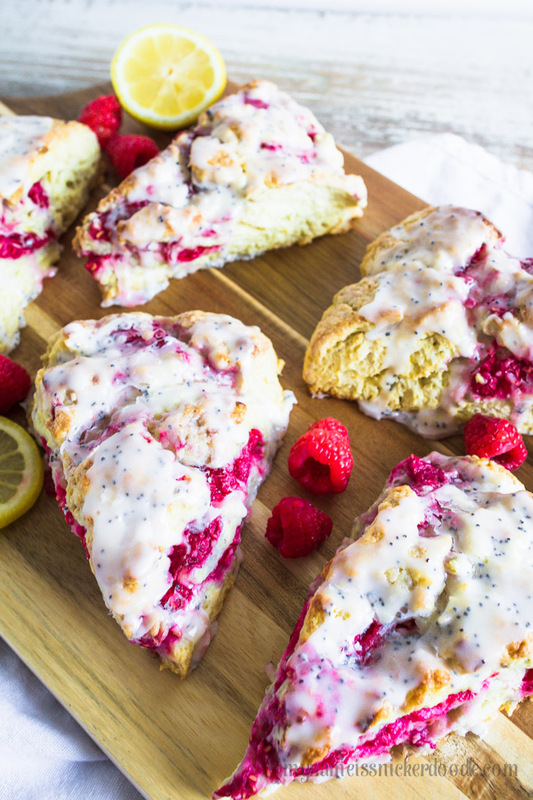 Lemon Raspberry Scones are truly perfect any time of the year. You can use frozen berries in the winter and fresh in the spring and summer. If you’ve never had a scone, you truly are missing out. 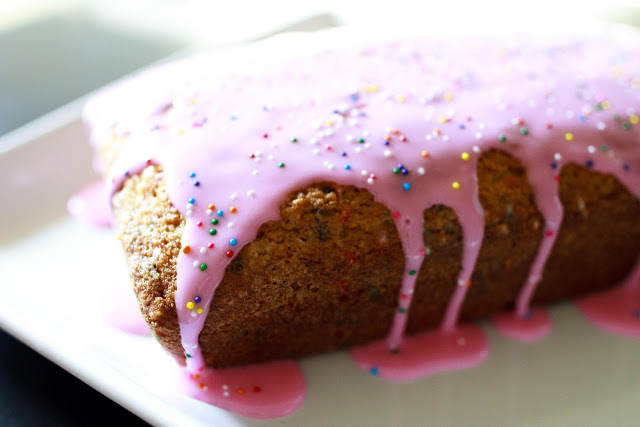 It’s kind of a cross between a biscuit and a sweet bread. 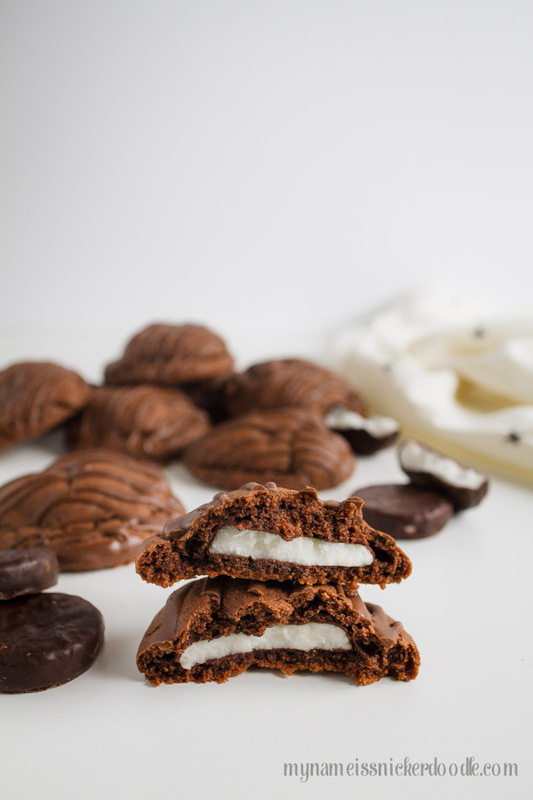 Maybe you have ordered one from a coffee shop or bakery, but there is nothing better than making them yourself. For years now, I have been making Berry Scones because my husband loves them. Truth be told, so do I. It wasn’t until recently that I even thought to mix up the highlight ingredients. I bought some raspberries that were on sale and I forgot them in the fridge. They got stuck behind some leftovers. Anyone else do that? Raspberries really don’t last long and there weren’t looking too great. Not terribly appetizing to just eat straight out of the carton. It’s then that I thought to use them in my scones and add some lemon for zing. It was such a perfect combination! They have now become the new favorite version and I’m happy to finally be sharing them with you! 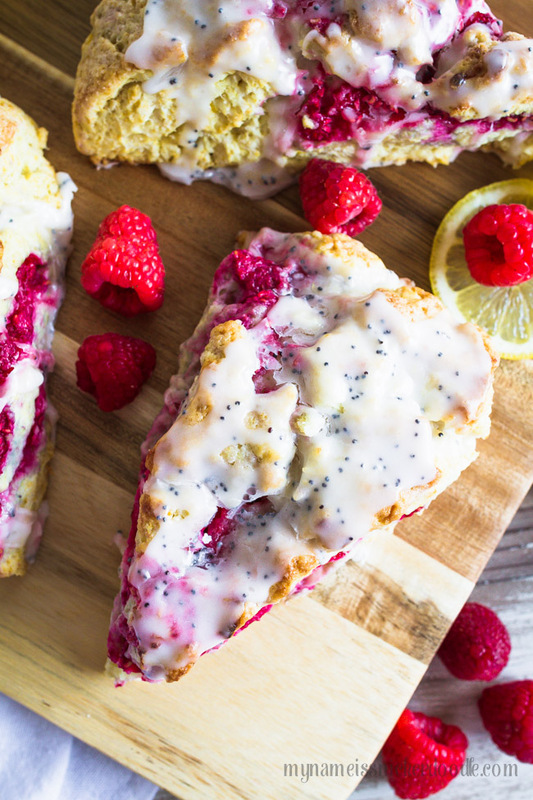 These Lemon Raspberry Scones have the perfect combo of sweet and tart. They come together with ease and are wonderful for a weekend breakfast! Mix all dry ingredients in a mixer. Add in butter and mix on low until small pea size clumps form. In a separate bowl whisk together buttermilk, 3/4 heavy cream, egg and lemon zest. While the mixer is on low, slowly pour in milk mixture. Mix briefly to combine. Do not over mix. Turn out mixture onto a lightly flour surface and gently knead the dough about 4-5 times. 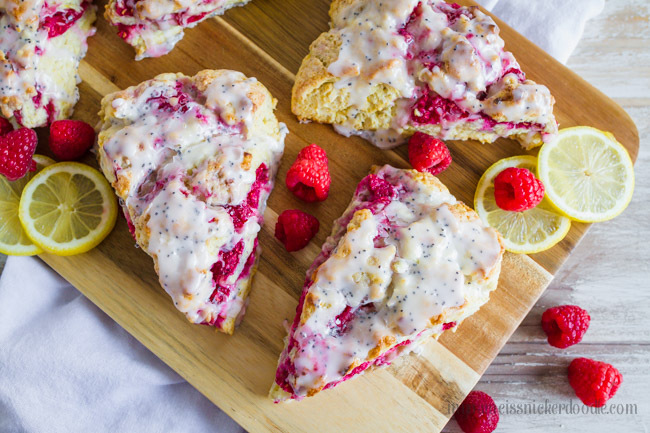 Sprinkle raspberries over half the dough and fold it in half. Roll out into a circle about 6 inches wide. Fold dough in half again and roll out to about 1″ thick circle. Using a knife or pizza cutter, cut dough into 8 wedges. 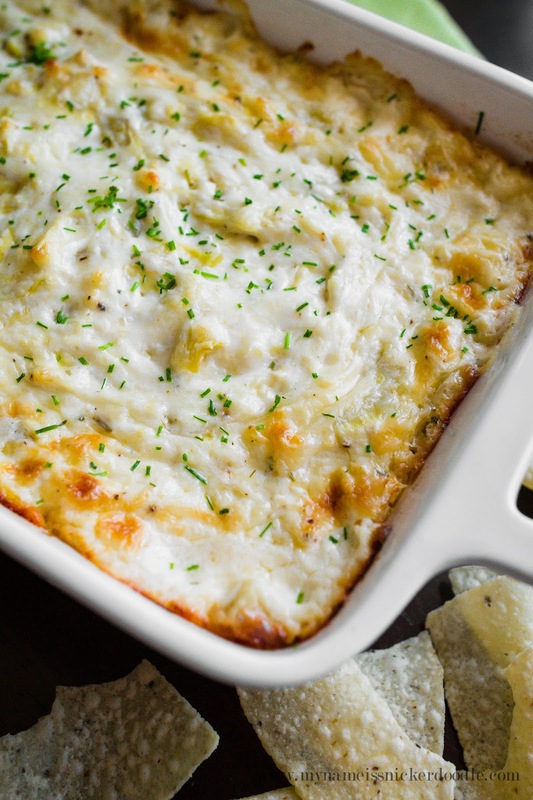 Place onto a greased cookie sheet and bake at 425 for 15-18 minutes or until lightly golden brown. In a small bowl mix together powdered sugar and lemon juice. Drizzle half over warm scones and let them cool for 10 more minutes. Drizzle remaining glaze over the top and serve.